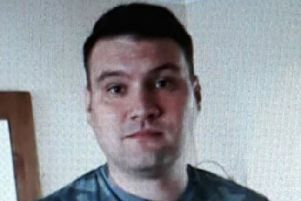 South Yorkshire Police want to trace a wanted man who has links to Derbyshire. Sheffield detectives are appealing for help in finding Mohammed Anwaar, who is wanted for failing to appear at court. Anwaar, 29, from Sheffield, was due to appear before Sheffield Crown Court on Wednesday October 17 for trial, charged with two counts of conspiracy to supply Class A drugs, two counts of money laundering, possession of cannabis and possession of a firearm. Detective Constable Messina, said: “Anwaar is fully aware that he is now wanted by police and that he is potentially facing a stint behind bars.